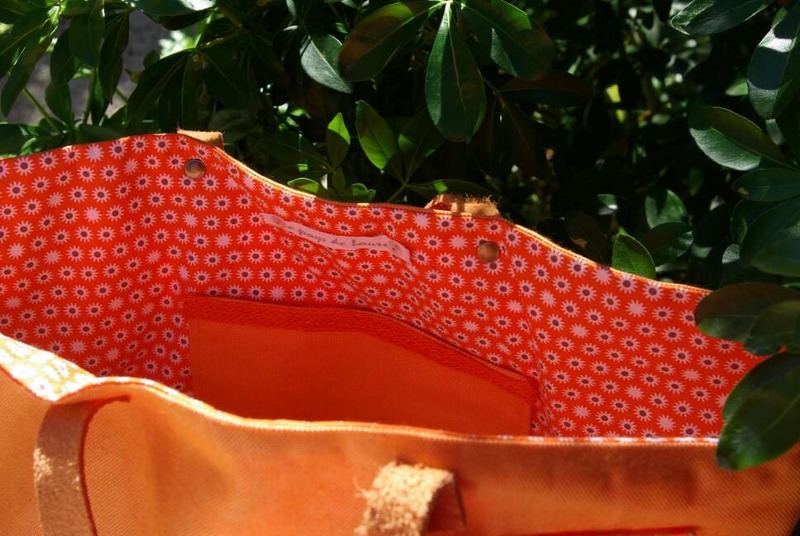 Handmade bag in orange canvas. 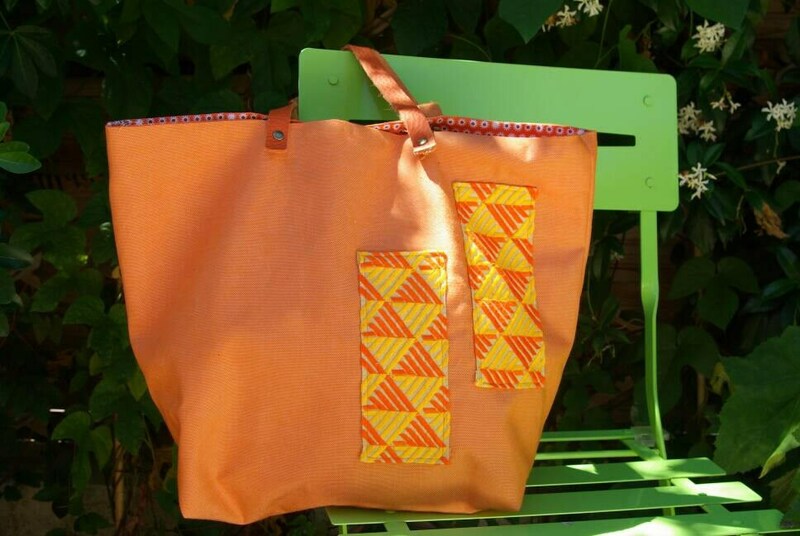 Embroidered orange and yellow fabric sewn. 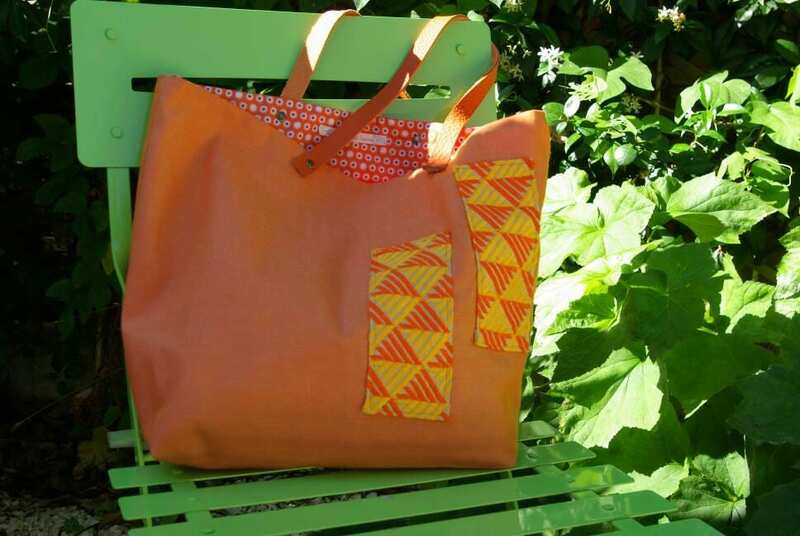 Lined with a vintage orange cotton. 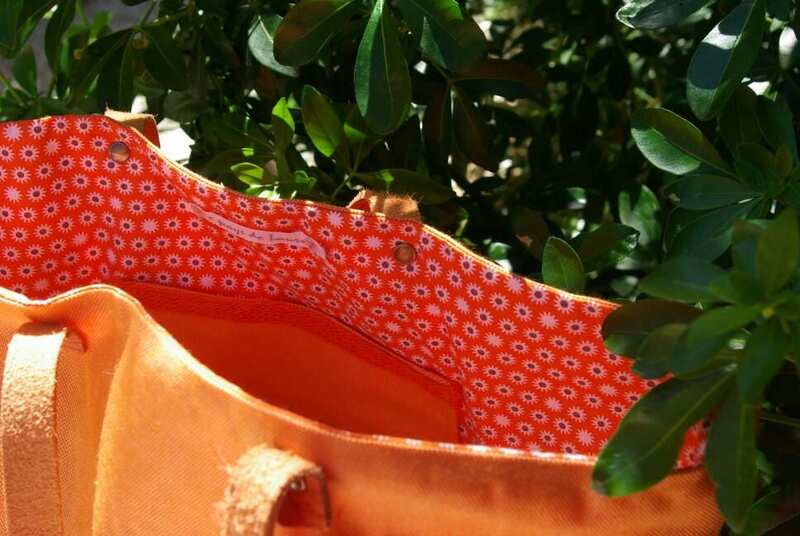 Orange leather handles fixed by "double crown" rivets.